CAT Participating Institutes 2018: CAT(Common Admission Test) notification have been released on 27th July 2018, the Online Application form will be available from 8th August 2018 and the last date of filling the application form is 19th September 2018. 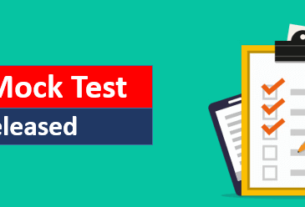 Common Admission Test is a top level management entrance examination organized by the Indian Institutes of Management (IIMs) on a rotational basis every year. For admission in MBA, PGDM, and other management courses which is offered IIMs and other top business schools in India such as SPJIMR, FMS, MDI, NITIE etc scorecard are required. Here we discuss the all of the CAT Participating Institutes. How to prepare for CAT 2018? Make proper time table for preparation. Try to discover your weak point and find out how to overcome them. Try to solve more and more problem every day. Try to select Best Books for CAT Examination preparation. Solve lot of previous year question papers will help you and give the idea about the difficulty level. Stress free and take a proper rest. Cut off are minimum marks are required to crack the exam. Cut Off is calculated on the basis of candidates appeared for the examination, difficulty level of the exam, and seats availability in the different IIMs. As Every IIMs have their own cut off but here we are listed a common cut off score for each category with section wise.